Looking for a gaming laptop under $1000? Buying gaming laptops under $1000 is an easy task if you know the factors to consider before buying. In this article, I have a detailed buying guide for you. You can learn what factors are crucial for an excellent gaming laptop under your budget. Though you need to spend higher on such laptops for gaming as the high-end gaming requires high-end specs and configuration. However, that doesn’t mean you can’t find a nice deal for the gaming laptop under your budget. Here I have listed top 7 best gaming laptops under $1000. Get the best bang for your bucks. Buy a gaming laptop for just approx $1000. Computer gaming has evolved in the past few years. If you are a new gamer and looking for a cool gaming rig, then you do not necessarily have to spend top dollars these days. 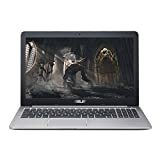 There are several budget gaming laptop options in the market to get you a decent gaming rig which would be good for a mid level gaming experience. Gaming laptops are a blessing in disguise for newbie and pro gamers alike because of the top performance, compactness, and mobility. But gaming laptops are not that cheap and can put a huge dent in your wallet. Don’t lose hope yet because fierce competition in this industry urges the top laptop brands to produce hardware for budget buyers too. Budget gaming laptops can deliver a satisfactory performance if you are looking for a mid-level gaming experience. 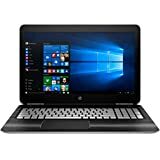 There are some factors you have to consider before buying a gaming laptop and especially a laptop in budget range of under $1000. Without some decent specs, your gaming laptop may not perform how you want it to. Here are the most important things to consider. Graphics Chip is the most important factor in a gaming laptop. 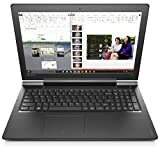 Some gaming laptops under $1000 feature top quality graphic chips and there are others who do not consider this important factor. A graphics chip carries all the heavy lifting in your gaming laptops due to its ability to handle features like MSAA, Phys-X, etc… NVIDIA Geforce GTX series GPUs are the most famous amongst budget gaming laptops. GTX 700, 800 and 900 series are the preferred GPU options for budget gaming laptops under $1000. Graphics chip has its VRAM to store game textures, details, and many game related processes. RAM can’t be burdened with this kind of load because it is already doing a lot of heavy lifting by running the operating system and game files exclusive for the operating system. A good graphics chip these days comes with at least 2 GB of VRAM but if you get a higher VRAM with a reputed chip, then go for it. Modern day video games take up a lot of CPU power and having a powerful CPU in your gaming laptop is a necessity. Games are getting bigger and better and can drain the life out of small CPUs. Intel is the dominant CPU producer in this regard. Look for 6th or 7th generation Intel Core i5 or Core i7 CPUs. Most budget laptops come with Core i5 CPUs. Better gaming experience needs better resolution. 1920 x 1080 is considered the standard resolution for modern games, but 3K and 4K resolutions are also catching the attention. In your budget range although, look for 1080 resolution gaming laptops under $1000. Almost all the modern games will run smoothly on 1080 resolution with better frame rates. At least 8GB of RAM should come with the gaming laptop of your choice, and thankfully budget gaming laptops under $1000 come with this kind of specs. Higher RAM storage will ensure smooth running video games. If you are planning on having 20+ games in your laptop all the time, you’ll need a bigger hard drive because a modern video game can range anywhere between 25-50GBs and a standard 500 GB hard drive won’t be enough to handle that kind of storage requirements. At least 1TB hard drive with 7200-RPM is recommended. Solid State Drives are lightning fast, but pricey. If you come across a gaming laptop equipped with a hybrid drive with 64-128GB of solid state drive, 1TB of simple hard drive and good overall specs, then there is nothing better. Battery‘s endurance to handle heavy processing is imperative. It is bothersome if you are in the middle of a heavy gaming session and battery runs out every hour. Portability is a major reason to buy a gaming laptop rather than a gaming PC. With a 15” or 14” screen, it is easy to carry your laptop, but 17” or 18” gaming laptops are hard to carry. Nevertheless, it entirely depends on your preference and comfort level. Laptop’s design and weight come in this category too. A nicely designed laptop will weigh lower and will increase the portability factor. Let’s take a look at top 7 best gaming laptops under $1000. Asus is known for producing quality machines. Asus K501UW is a midrange gaming laptop which offers the best performance in budget gaming laptops under $1000. This laptop seems to have the perfect mix of ingredients to outclass any of its competitors. 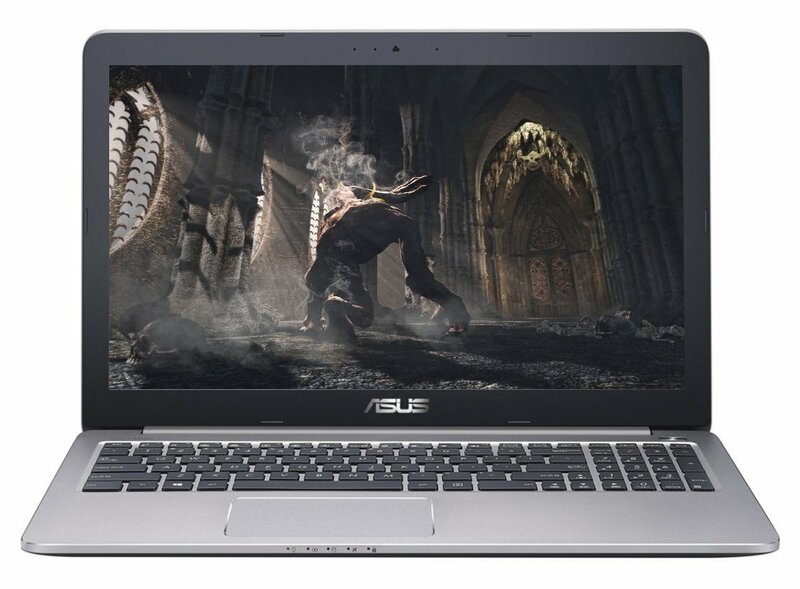 Asus K501UW full-HD gaming laptop features a NVIDIA GeForce GTX 960M graphics chip. 960M is a medium level graphics card which can deliver a good performance for almost all the modern video games. NVIDIA GeForce GTX 960M graphics chip in Asus K501UW has a 2GB DDR5 VRAM. This kind of VRAM may not deliver the highest performance, but it is not bad either. Asus K501UW features a 6th gen Intel Core i7-6500U processor. This kind of power can handle anything you throw at it. Asus K501UW full-HD gaming laptop features 1920 x 1080 resolution which gives you an immersive gaming experience. Hard drive storage capacity is on the downside, but you can store your favorite video games on a 512GB SSD drive. SSD drives are known for their speed and reliability because they do not contain any spinning plates or heads. Battery life is not a strong suit for most of the gaming laptops. Same is the case with Asus K501UW full-HD gaming laptop as its battery gave up after 5 hours. This battery life is still good considering an average gaming session. Asus K501UW full-HD gaming laptop features a sleek look, and it is thinner than most of its competitors. In regards of portability, this gaming laptop features a 15.6” screen and weighs 4.4 lbs which are pretty good for a gaming laptop under $1000. With a price tag of $799, this is the best gaming laptop under $1000 that you can get on a budget. See all specs and features. Asus ROG GL752VW gaming laptop is another budget elite from Asus. Cool design and performance make it a great machine for your entry level gaming needs. 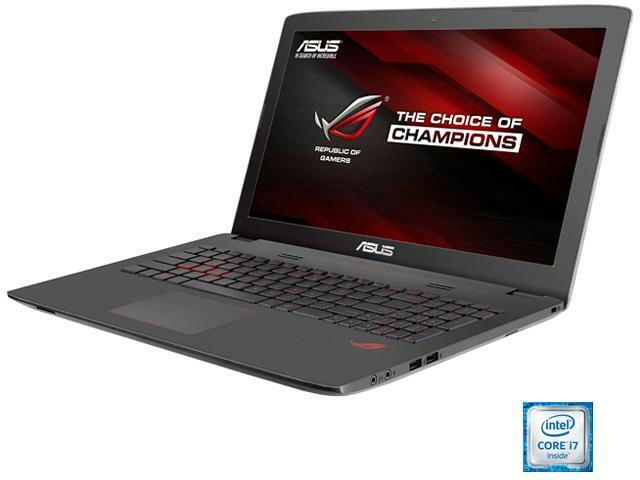 Asus ROG GL752VW gaming laptop features a NVIDIA GeForce GTX960M graphics chip which is a small, but powerful graphics processor and suits best with gaming laptops. 4GB GDDR5 packs a lot of power to store the textures and help GPU render them with ease. Powerful 6th-generation Intel Core i7-6700HQ 2.6GHz takes care of all the heavy lifting on the general processing side. The standard 1080p resolution is offered in this gaming laptop. The screen size of 17.3” is a rare feature considering it is a budget gaming laptop under $1000. 1080p resolution looks much better on a bigger screen. 16GB DDR4 RAM is more than enough ensure a stable system performance. Asus ROG gaming laptop features a hybrid hard drive with 128 GB M.2 SSD + 1TB 7200RPM HDD. The addition of SSD is a nice touch to run some data-demanding games without any stutter. On a heavy gaming session, the battery can give you up to 5 hours which is good considering the competition. 6.6 lbs weight is a downside as no other competition is that heavy, so portability rating automatically decreases. The design is one of the best you can get for a budget gaming laptop under $1000. Black rugged plastic with aluminum like logo plate in the middle makes it a thing of beauty. Price ranges from $970 to $1049 depending upon the different upgrades. 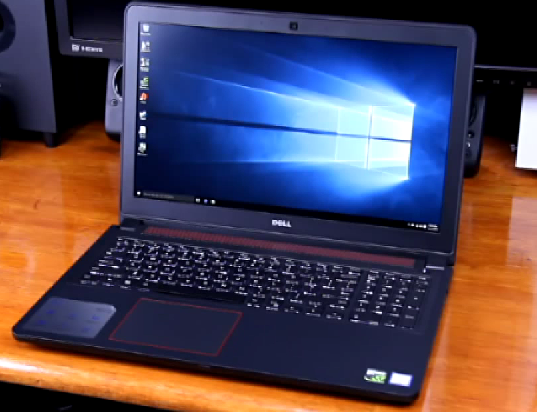 This gaming laptop justifies its price with great features and easy upgrade options. See all specs and features. 16GB RAM / 128GB SSD Upgrades | 3-Year CUK Limited Warranty* | View warranty section below for more details. HP is known for producing average level multimedia systems, but coming across CUK Pavilion 15 was a pleasant surprise. 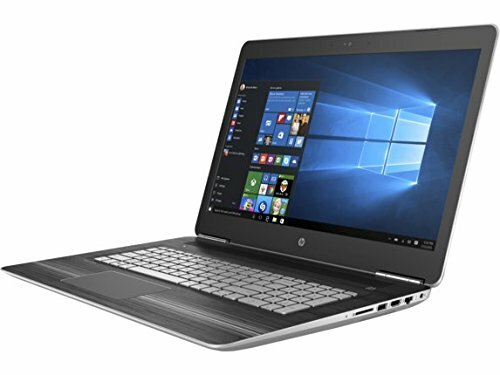 HP has produced somewhat of a beast for budget buyers. With a range of top features, CUK Pavilion 15 gaming notebook is a great buy for gamers looking for medium level gaming. CUK Pavilion 15 gaming notebook features a NVIDIA Geforce GTX 1050 graphics chip which may look like an upgrade from 960M but isn’t. This graphics chip delivers the same performance as 960M, and a higher model number doesn’t help the performance. 4 GB DDR5 VRAM is something of a dream for gamers who just converted from a desktop gaming PC. This VRAM capacity can virtually handle anything thrown at by modern games. This gaming laptop comes with Intel Core i7-7700HQ Quad Core Processor which is powerful enough to manage your entire gaming requirement with ease. This processor can handle a far superior graphics chip than GTX 1050. This type of processing power is good for running heavy applications besides gaming and can give you a solid all-around performance. Like most of the budget gaming laptops under $1000, CUK Pavilion 15 also offers a 1080p resolution which can give a good bang for the buck. CUK Pavilion 15 also features an IPS display which gives you a better viewing angle and enhances the gaming experience. 16GB DDR3 RAM is good enough to handle any load. CUK Pavilion 15 features a hybrid hard drive. 128GB Solid State Drive and 1TB 7200rpm Hard Disk Drive are enough to meet most of your gaming storage demands. Battery runs out between 4-4.5 hours at full performance. Idle conditions have a much better battery life, but gamers have nothing to do with it. The laptop weighs around 4.77lbs which is pretty light for a gaming laptop. CUK Pavilion 15 has a plastic finish, and a solid feel when carried. At $994.99, this gaming laptop is packed with decent hardware and features to make its competitors run for their money. See all specs and features. Dell Inspiron series is not known for producing beautiful looking, sleek laptops. But the gaming machine they created called Inspiron i7559 is good enough to run any game on the market. Inspiron i7559 features a NVIDIA GeForce GTX 960M graphics chip which has become somewhat of an industry standard for budget gaming laptops under $1000. Nonetheless, it delivers a good performance. Unlike Asus K501UW gaming laptop, this GTX 960M offers a 4GB GDDR5 VRAM which handles a lot of loads and never interfere with your gaming experience. The 6th Generation Intel Core i7-6700HQ, up to 3.5 GHz Quad Core Processor ensures a smooth performance for all of your gaming needs. Standard 1080p resolution ensures that your games produce great details and create an immersive gaming experience. Inspiron i7559 features a 16GB RAM. Although an 8GB RAM will do the trick for current specifications, yet more is better. 1 TB standard hard drive with no SSD will produce an average performance and may cause your games to stutter sometimes. Battery only lasts for 4 hours under demanding gaming conditions. So keep the power adapter handy. This is where this laptop lacks a lot. Design wise; it is just like other Inspiron laptops which are big, heavy and cheap looking. Also, it weighs around 5.58lbs which is pretty heavy compared to its competitors. Priced at $909.59, Dell Inspiron i7559 delivers an excellent overall performance despite a bad look and design. See all specifications and features. When you go for the budget, you have to make compromises either on performance or comfort. Acer Aspire E 15 delivers an excellent performance but lacks in comfort because a sub standard display and low-quality keyboard are drawbacks for some gamers. Comes with NVIDIA GeForce 940MX graphics chip ranks lower on benchmarks when compared to 960M, but can offer a good entry level gaming experience. 2GB DDR5 VRAM is entry level for most of the games, and you have to compromise between frames and graphics quality. It comes with 6th Generation Intel Core i7-6500U Processor 3.1GHz for an excellent all around performance. Like all other budget gaming laptops under $1000, 1080p resolution is part of the package which is good enough for any game on medium-low settings. 8GB DDR4 memory is perfect for all kinds of demanding video games. This one scores much lower on the storage side because a 256GB SSD is not enough for huge modern games. Even the fast speed of SSD won’t cut it. 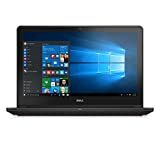 Battery works between 5 to 5.5 hours during a heavy gaming session and 9.5 hours on a regular use which is not bad as compared to the other gaming laptops under $1000. Acer Aspire E 15 weighs around 5.27lbs which is a bit heavier than competitive models on the market. The design is simple with a plastic finish which lacks something you can’t put your finger on. 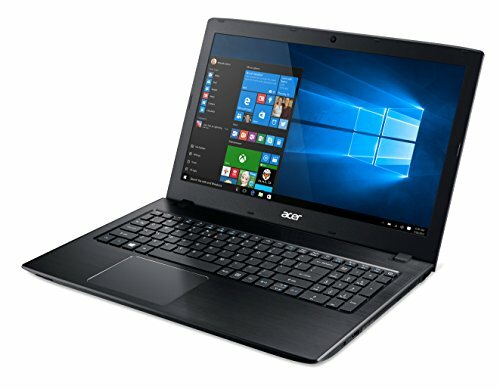 Acer Aspire E 15 comes with Windows 10 64-bit and priced at $699.99. For entry level gaming, this gaming laptop seems to be a bargain. See all specifications and features. NVIDIA graphics as standard - The Ideapad 700 has extreme graphics cards as standard. 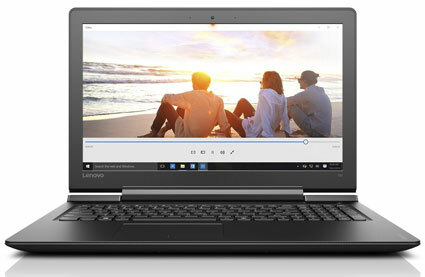 Lenovo is known for producing sturdy and reliable laptops for professionals who have a lot of computer related work. Coming across Lenovo Ideapad 700-151SK gaming laptop is a pleasant surprise. This machine is exactly what you need for a budget gaming laptop under $1000. NVIDIA GeForce GTX950M may not produce the highest of performances you want from a graphics chip, but it is enough to fulfill entry level gaming needs. 4GB VRAM can store all kinds of heavy gaming textures conveniently. 2.3 GHz Core i5 6300HQ sits well with the graphics card to produce a decent performance across multiple gaming titles. 1080p standard resolution is part of the package. 12GB RAM ensures that you do not run out of memory in the middle of a competitive gaming session. There are two options in the hard drive. You can either have 256 GB SSD which is a compromise on storage space, or you can have 1TB standard 7200rpm hard drive. 3.5 hours of battery time is average, but there are some machines which perform much lower with the same price tag. Weighing at 5.7 pounds, this gaming laptop is not the lightest machine when compared with other gaming laptops in the market competition. 15.6-inches screen size may ensure easy to carry feature, but carrying it in a backpack for the extended period can tire you. Design wise, the gaming laptop is average with a plastic finish and draws fingerprints like a magnet. It is priced at $688 with excellent gaming performance. This gaming laptop under $1000 is a good value for money. See all specifications and features. 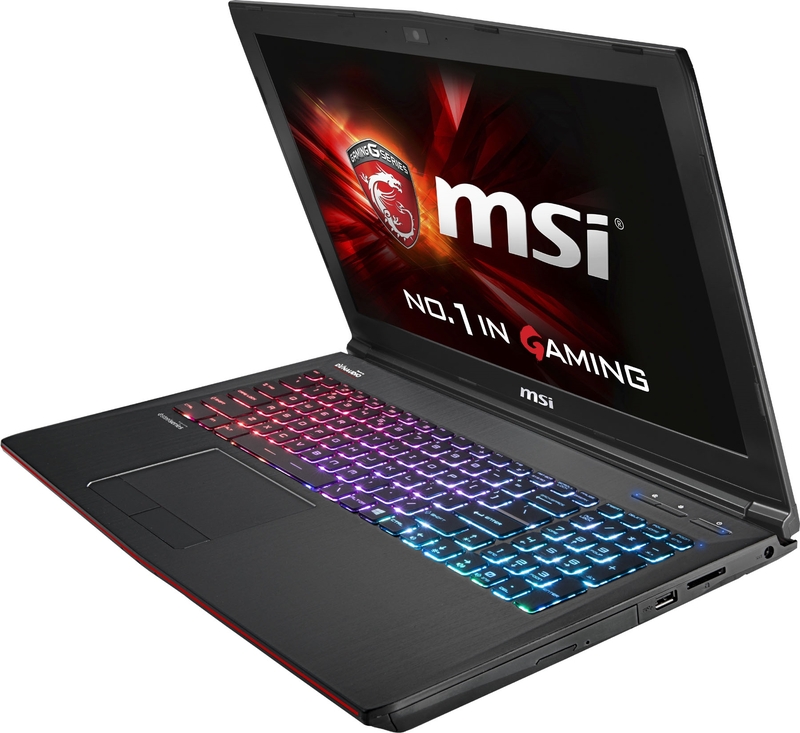 MSI GE62 Apache gaming laptop delivers a top notch performance within a reasonable price range. This gaming laptop is right up there with the budget elites. 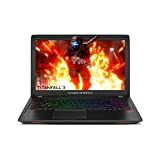 Apache Pro is equipped with NVIDIA Geforce GTX960M which has become somewhat of a standard for budget gaming laptops under $1000. Never fails to deliver a satisfactory performance. 2GB DDR5 may not produce the highest results for demanding games, but it is good for entry level gaming. Intel Core i7-6700HQ Quad Core Processor is a bit too powerful for the pairing GPU. But hey, the more powerful, the better it is. It comes with the standard 1080p resolution as almost all the budget gaming laptops under $1000. Good for a quality gaming experience. 16 GB SO-DIMM RAM delivers a blistering performance for all the great gaming titles. The 1TB 7200rpm hard drive can be a good option for a while, but it’ll produce an occasional stutter in data demanding games after a while. 4.5 hours of battery is not bad in this range. You don’t have to worry about sudden battery drains due to a satisfactory battery performance. Portability lies in the middle ground with 15.6” screen and 5.26lbs weight. The design is like most of the gaming laptops in this category have which is plastic finishing with a bulky look. Illuminated MSI logo is attractive to look at. Priced at $799, this is a great gaming laptop under $1000 and justifies its worth for money. See all specifications and details. All these budget gaming rigs come with almost the same specifications and processor is way too powerful when compared to the graphics chip. So it depends on your personal preferences and brand loyalty, but if you are looking for an attractive design combined with performance, then Asus is the way to go. Standard 7200rpm hard drives can always be replaced with SSD when the warranty period ends so it shouldn’t be an off-putting factor. I hope this list of top 7 best gaming laptops under $1000 helped you come to a decision. The choice is all yours now. Happy Shopping!